Adding honey to apple cider vinegar is one of the best ways to make ACV more tolerable to the taste buds and stomach. Both have their place among nutritional foods and can be used in combination for a variety of ailments, health edification and beauty regimes. Both have the ability to attack and kill harmful bacteria, whether it’s in the digestive system or on the skin. The more we learn about good nutrition and the importance of getting an assortment of vitamins and minerals each day, the easier it is to understand old-time reliance on ancient foods like apple cider vinegar and honey. Over the centuries, both honey and vinegar became commonplace remedies for many ills, and claims for their curative and restorative powers are legendary. Some believe they are capable of solving the most vexing and tiresome of human afflictions, and devotees claim they will help everything from heartburn, coughs, sore throats and hiccups to diarrhea, burns and asthma. 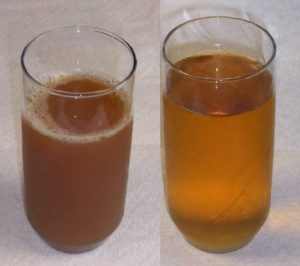 Food Poisoning – Drink a mixture of ACV and honey prior to visiting restaurants to prevent food poisoning, particularly in a foreign country. The dose is 1 tablespoon ACV and 1 tablespoon honey 30 minutes before meals. It can be mixed with a glass of water or juice, but less liquid is better if you can tolerate it. Leg Cramps – If you’re plagued with night time leg cramps, supplement your evening meal with a glass of water fortified with 1 teaspoon pure raw unfiltered honey, 1 teaspoon of raw unfiltered organic apple cider vinegar, and 1 teaspoon calcium lactate powder. Upset Stomach – To calm an unsettled stomach, sip on a glass of very warm water mixed with 1 tablespoon raw honey and 1 tablespoon ACV. Rashes, Stings and Bug Bites – Melt 2 ounces raw honey over a very low heat so as not to destroy the medicinal properties and add it to a shallow bowl containing 1/2 cup apple cider vinegar. Soak a clean cloth in the mixture and wrap it around the rash. For stings and bites, soak a sterile gauze pad in the mixture and tape it over the site. 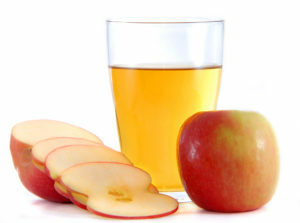 Acne – Both apple cider vinegar and honey are antibacterial and antimicrobial. To heal acne, wipe the face with apple cider vinegar using a cotton ball. This will clean the surface of the skin. Next, apply a very thin mask of honey and leave the mask on for 10 minutes, then rinse with tepid water. Apply honey in a very thin layer so it doesn’t drip. The honey will also act as a moisturizer that is oil free. Bad Breath – Combine apple cider vinegar and honey in equal parts and use as a gargle or mouth rinse to eliminate bacteria that cause bad breath. If you like, you can add essential oils such as peppermint, rosemary, or myrrh, all of which have antibacterial and antifungal properties. Creating a world that uses less chemicals and more natural products like apple cider vinegar and honey will go a long way to keeping you healthy well into your later years, and both are safe for your children and your home environment. Be sure to purchase organic, unfiltered and raw, both in ACV and honey.